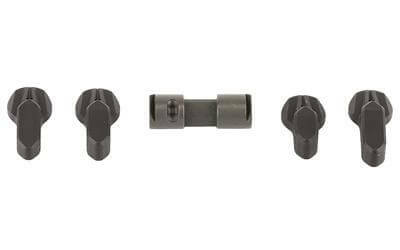 ABC/R (Augmented Bolt Catch/Release) with its angled and larger top paddle and lower paddle with increased surface area, is purposely designed for use with AR15/M16 receivers equipped with ambidextrous magazine releases. Specifically, it is designed to address the difficulty with accessing the factory bolt catch’s lower paddle with an ambidextrous magazine catch, such as Norgon’s Ambi-Catch, on the receiver. 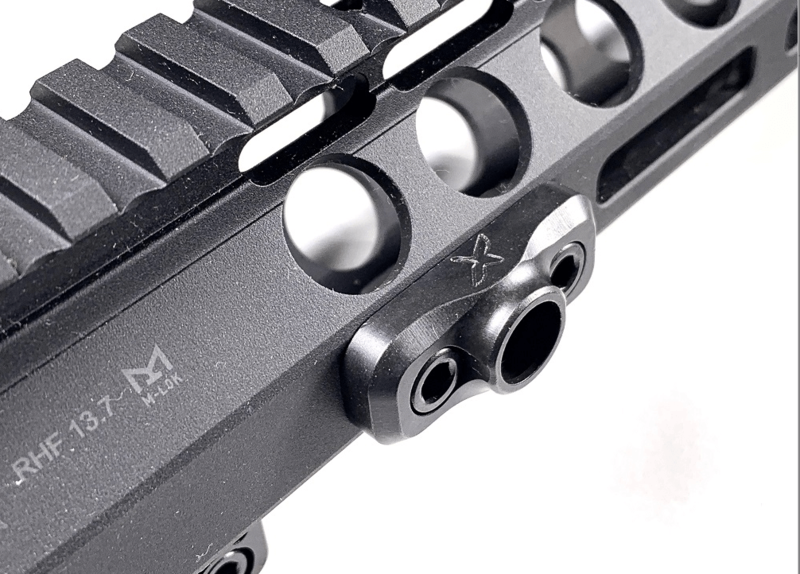 Many of the ambidextrous mag release’s lower paddle is on the same vertical plane as the factory bolt catch lower paddle, making identification difficult by feel, especially with a gloved hand. The ABC/R’s chief effort is focused on that single issue. The lower paddle protrudes further, and is angled at 10 degree to give it even more surface area. These measures put the lower paddle and Ambi-Catch’s paddle on different vertical planes. That done, we worked on the top paddle. 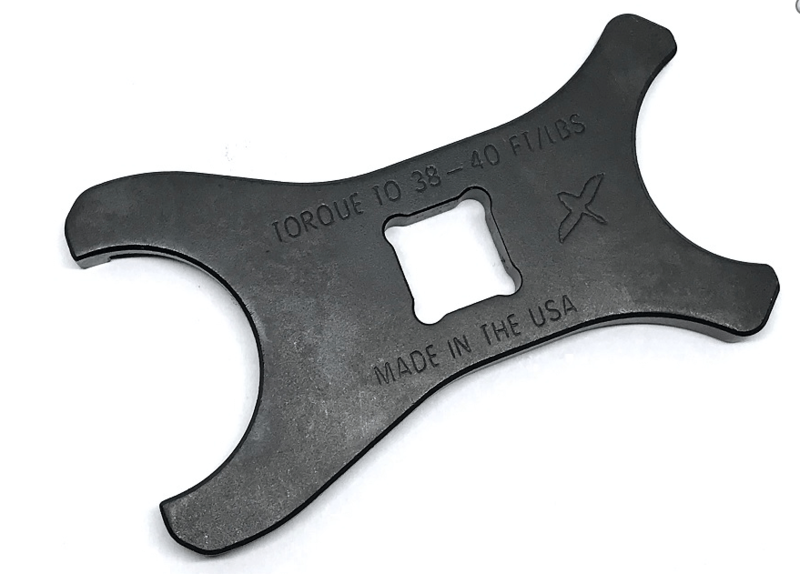 While we don’t use it ourselves, preferring to pull back on the charging handle instead to load and reload, we do recognize far more users use it, so the ABC/R’s top paddle is made larger, and given a 5 degree angle at the lower 50%, and 10 degree angle at the upper 50% cant. The angled paddle makes it easier for the palm or thumb to access. The notch immediately above the ABC/R’s lower paddle isn’t there by accident. As you run your finger down the bolt catch towards the lower paddle, the notch is meant to provide tactile feedback to indicate the beginning of the lower paddle. It is important be able to differentiate one control surface from another, all without diverting one’s gaze to it. 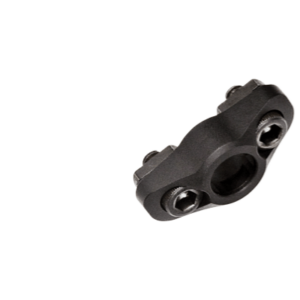 Machined from billet 8620 alloy steel and heat treated, or 17-7 stainless steel, available in black nitrided finish (8620) or raw (17-4 SS), bead blasted or polished finish, the ABC/R v2 is proudly designed and made in the US. Starting from June 15, 2018, bolt catch roll pin, plunger and spring are included.